Flying a drone over water can be risky as most drones are not waterproof or built for the marine environment. With the Splash Drone 3, you can relax and enjoy your fishing. Every part of Splash Drone 3 Fishing Edition is 100% waterproof and sea-water friendly. Can’t find a good place to launch the drone? Just take-off from the surface of the water. Can’t tell where the fish are from the above? Just land directly on the water and get a submarine-view of the underwater world. 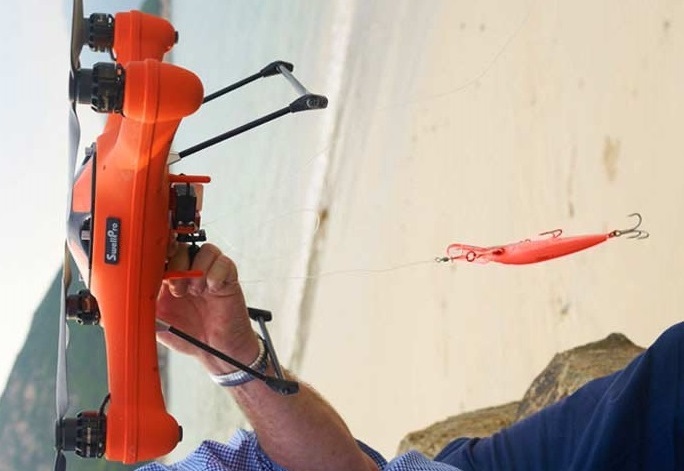 Harnessing a rugged 3mm ABS fuselage and waterproof, corrosion-resistant materials, Splash Drone 3 is built to fish. The Splash Drone 3 fuselage is made of durable 3mm reinforced ABS to ensure a perfect waterproof seal. All external parts are corrosion resistant and designed for use in salt and fresh water environments. – Power and maneuverability to fly in winds and rain up to Beaufort Force 4 (18mph/28 kmh). Gusty wind and torrential rain can be a real challenge for some drones near the coast. With the waterproof Splash Drone 3, its robust 450mm ABS shell, high torque 620KV motors, and full carbon fiber propellers provide the power and durability to fly in these harsh environments. The new propulsion combo and flight controller provide tremendous horsepower and control even in winds up to 18 mph (Beaufort Force 4). Reprogrammed flight parameters provide phenomenal self-righting and altitude holding abilities, even when the drone is burdened with additional weight. You don’t need to be a dedicated pilot to fish successfully. We’ve simplified the use of Splash Drone 3 Fishing Edition and discard all the complexity that doesn’t contribute much to fishing. Every angler can fly like pro within a very short period of time. For anglers who are new to drones, we’ve simplified the operation of Splash drone 3 so that a newbie can fly like a pro within a very short period of timeWith the help of GPS and an array of sensors, Splash drone is able to autonomously hover at it’s current position, awaiting further commands from the pilot. The fisherman version is not burdened with unnecessary dead weight or redundant parts, which don’t contribute much to fishing, along with additional weight reduction, and cost saving. The redesigned remote controller is free of overwhelming buttons or switches, providing responsive control of the aircraft, and the release mechanism. The built-in LCD instantly updates you with the flight data and the battery voltage, thereby ensuring you retrieve the drone before it goes too far. After dropping the bait, a simple flick of a switch on the controller will initiate the Splash drone flying back to the home point by itself. In the event of any emergency, simply flicking another switch to make it automatically land wherever it is. 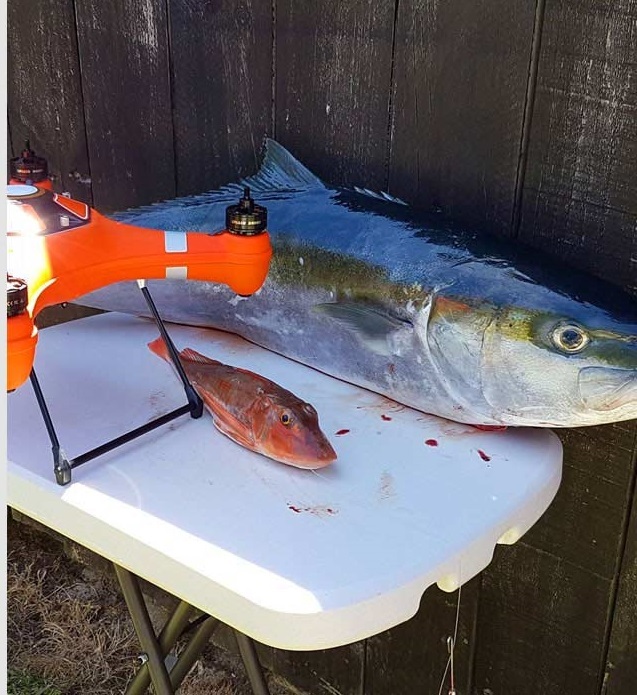 Fishing with Splash drone is smart, and safe at all times. There are lots of drones out there that can do all sorts of things like fly around, take pictures and video, or even lift a human. But how many can swim? Swellpro is the world leader in waterproof drone technology. The drones are waterproof, robust and can operate in nearly any environment.